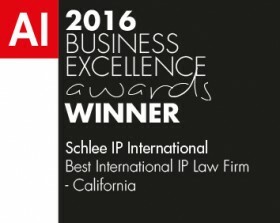 Unitary Patent System - Schlee IP International, P.C. I will discuss common questions about the unitary patent system in this article. 1. What is the ultimate goal of the unitary patent system? One single patent granted, invalidated and enforced as a Unitary Patent System for all European Union (EU) countries. In May 2016, these are the 28 countries AT, BE, BG, (HR), CY, CZ, DK, EE, FI, FR, DE, GR, HU, IE, IT, LV, LT, LU, MT, NL, (PL), PT, RO, SK, SI, (ES), SE, and UK with a total population of about 500 Million. HR, PL and ES have not yet signed the unitary patent package. 2. When does the unitary patent system come into force? When at least 13 EU countries including the 3 indispensable countries DE, FR and GB have ratified the unitary patent package. From the 13/3, only 9/1 countries ratified by May 2016. 3. What needs to be done to obtain a Unitary Patent? A Unitary Patent is obtained at the European Patent Office (EPO) by filing and prosecuting a European patent application and exercising within one month from the issue date of a resulting European Patent the option to have the same treated as a Unitary Patents taking effect in the EU countries that have ratified the unitary patent package. Exercising the unitary patent option does not bar the Patentee from validating the European Patent in non-EU European Patent Convention (EPC) countries. 4. What languages can be used? The 3 official EPC languages English, French and German. Apart from some possible transitional translation requirements and the existing EPC requirement of including the finally allowed claims in all 3 official EPC languages in the patent, no further translation requirements apply. 5. 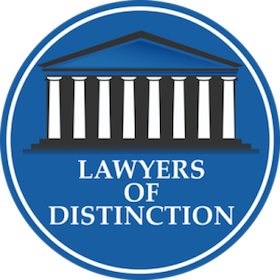 How are Unitary Patents enforced? Through the Unified Patent Court system jointly for all EU countries having ratified the unitary patent package. The Unified Patent Court system includes several courts of first instance and a joint appellate court. Depending on the circumstances, for instance the countries where alleged patent infringement takes place, more than one option for choosing the court of first instance within the Unified Patent Court system may apply. 6. What are the costs for maintaining Unitary Patents? Renewal fees are set to cover the equivalent of national renewal fees in the 4 most frequently validated EPC countries. If fewer than 4 countries are of interest, it may be more economical not to exercise the unitary patent option and instead validate the European patent only in the fewer countries of interest.